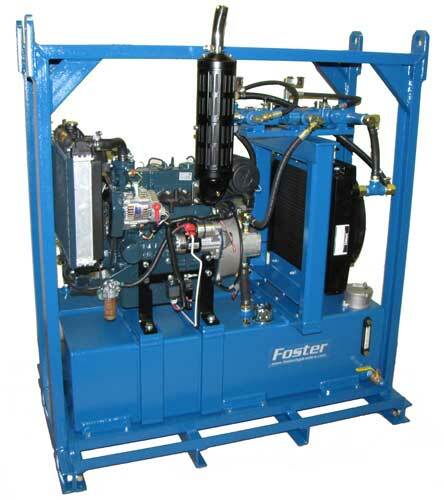 Foster's Diesel Hydraulic Power Units, Designed to Power Oil Skimmers, Boom Reels, Winches, Pumps and other Hydraulic Equipment. The "Dual Circuit Systems" offer power for (2) individual requirements that can "Run" at the same time, even at different pressures. Each circuit can have flow adjusted individually without Affecting the other circuit. 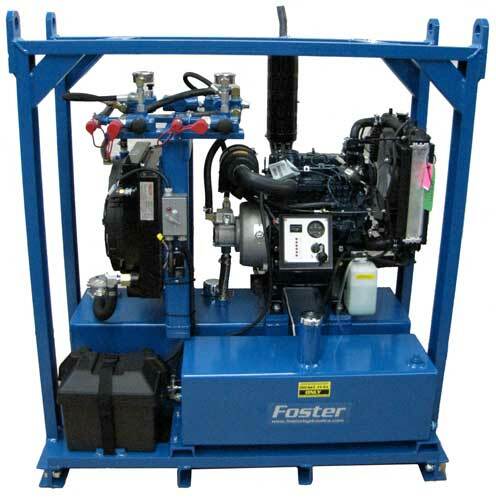 Basic System includes the following circuitry components to allow (1) Engine/Pump source to provide (2) independent/individual circuits. This unique control package includes. ▪	(2) Fully Adjustable Flow Control Valves with "Integrated Relief Valves"
Protective Cage: Provide for Overhead Lifting for Crane Lift, (4) Points. Flow Meter (Main Circuit, (1) Meter). 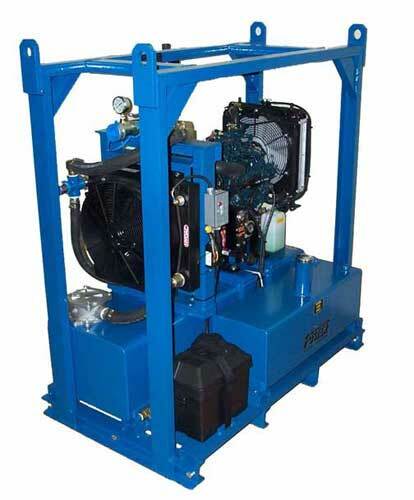 Marine Quality Powder Coating. (Please note this option will extend the Lead-Time).